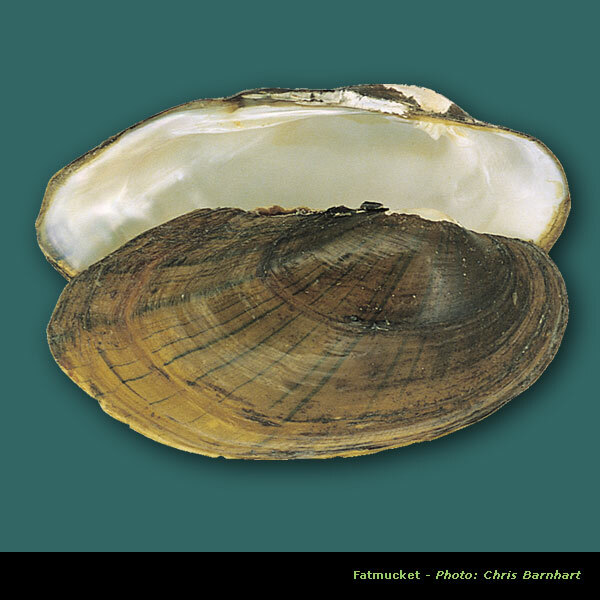 Freshwater mussels have an unusual and complex mode of reproduction, which includes a brief, obligatory stage as a parasite on a fish. During the breeding season, females lay eggs and brood them inside specialized chambers in their gills called a marsupia. Males release sperm into the open water, which is then drawn into the females through their siphons. The sperm fertilizes the eggs. Inside the female mussel, fertilized eggs develop into microscopic larvae known as glochidia. And this is where the fish hosts come into play – and things begin to get interesting. 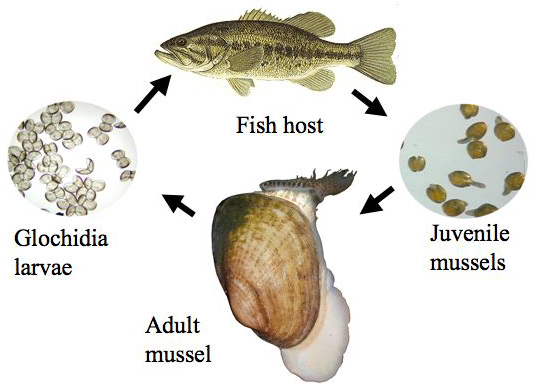 Mussels need to “infect” a host fish with glochidia to complete the reproductive process.The method of host infection greatly varies among mussel species. Some mussels simply release glochidia into the water where they must haphazardly come into contact with the appropriate fish host as it swims by. The process is more intricate and direct in other species. 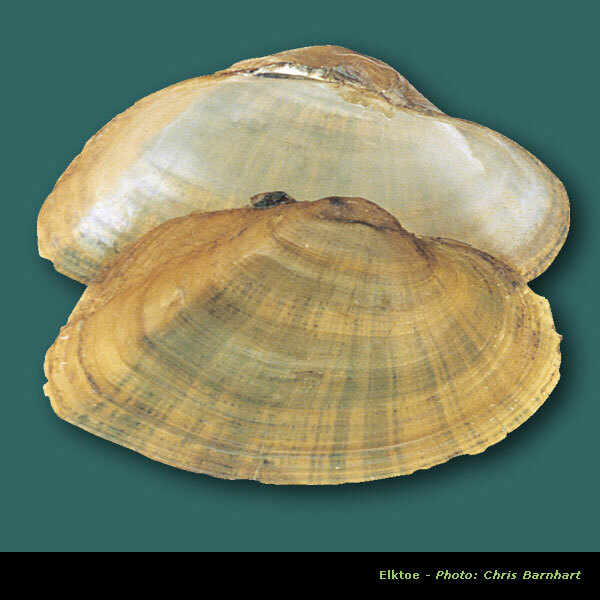 For example, females in the mussel genus Lampsilis have an extension of the mantle tissue that strikingly resembles a small fish. 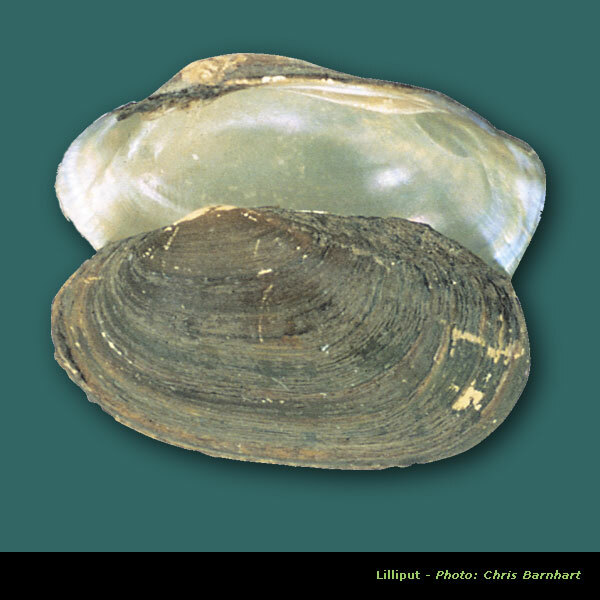 The mussel displays this tissue outside its shell between the valves and twitches it repetitively to attract its predaceous fish host – like a fishing lure. 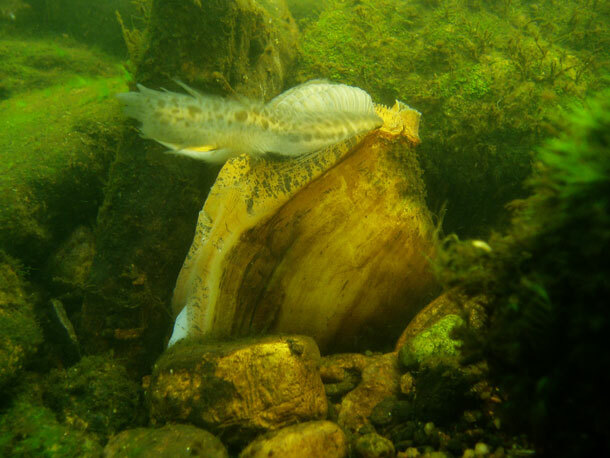 While attempting to eat the lure, the marsupial gills of the female mussel are ruptured, and the fertilized eggs come loose and attach themselves to the fish - the host fish is infected. Other mussel species release small structures containing glochidia called conglutinates. These float freely into the water. Conglutinates look like prey items to the host fish; the host fish are infested when they attempt to eat them. Once the glochidia are released from the female, they must attach to the gills or the fins of the right fish host and encyst to complete development. Otherwise they won’t survive. The process of encystment on the fish host occurs as the tissue of the fish grows over the glochidia. Metamorphosis takes place within days or weeks, depending on species and temperature. Glochidia transform into microscopic juveniles and drop off. 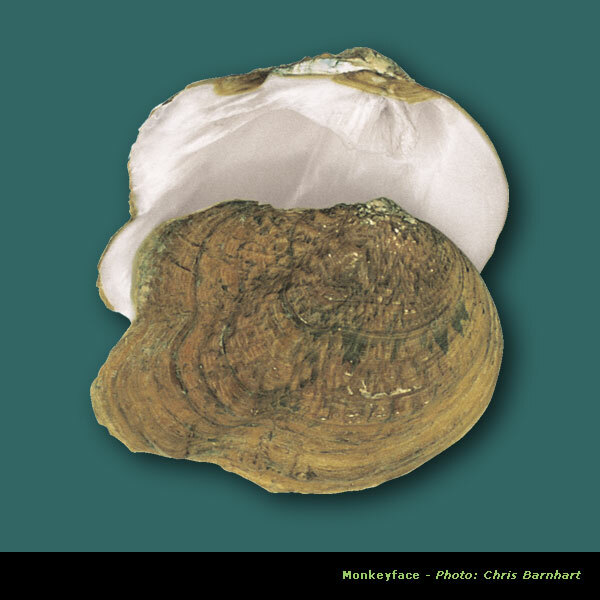 If by chance they settle into suitable habitat, a new mussel bed is created. It’s an astonishing display of evolutionary adaptation, going on just under the surface of local streams around the globe. 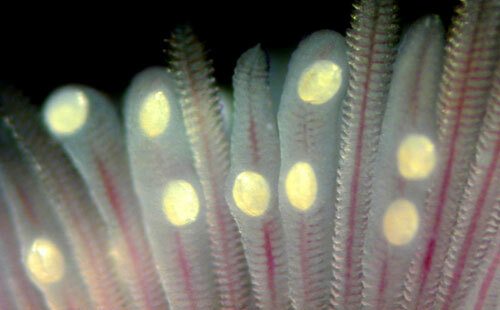 Glochidia of Lampsilis encapsulated on the gills of largemouth bass. Glochidia are parasites but they usually do no harm to the host. The glochidium clamps on, and the epithelial cells of the gill then migrate to form a capsule around it. This structure is often erroneously called a cyst, but technically cysts are structures made by a parasite, while capsules are made by a host.